How often have you wished there were more hours in the day- or rather that there were more hours for relaxation instead of work? Maintaining a healthy balance of work and rest can be challenging in today’s fast-paced world, so it’s more important than ever to prioritize what’s important to you and find efficient ways to deal with the rest. At Mr Tree and Lawn Service, we provide a variety of residential lawncare services in Gainesville, Florida to help you take back your weekends! As a homeowner, you want your yard to look neat and attractive, but yard work can be tedious and time-consuming, not to mention physically exhausting. 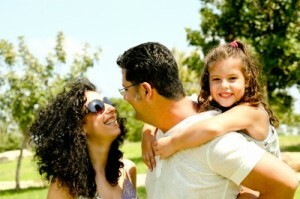 When you weigh that against the time you could be spending with family or friends, it makes sense to delegate the task. Besides saving time and energy, hiring a lawncare company can yield better results and a more beautiful yard. Why put in the sweat equity and research time when there are experienced professionals who can take the job off your hands? We have years of experience bringing the best out of our clients’ landscapes. We know what your lawn needs and how to achieve it. From mowing, edging, and weeding to mulch installation and clearing debris, our hardworking team provides detail-oriented landscaping services to give you a lawn you can be proud of. So, are you ready to take back your weekends? If so, give us a call today at 352-682-4444 to get a quote on our affordable lawncare services for your Gainesville home.